Titan Restoration, believes in going the extra mile to ensure that their customers expectations have been met, if not exceeded. 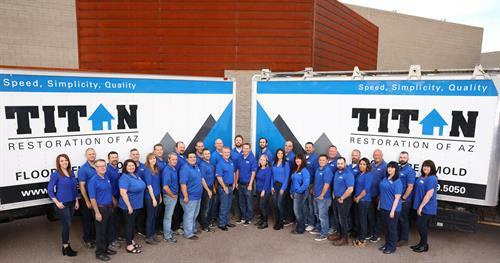 Since they not only represent their company, Titan represents their clients who refer their customers to them, service is one of their top priorities. They strive to improve and make adjustments to be the most efficient restoration company, while still maintaining integrity and quality. Russ Palmer began Floodpro in 1998 where he specialized strictly in structural drying. He became one of the region's experts in top-down drying. Many other restoration companies and insurance companies come to him for his expertise on large losses. 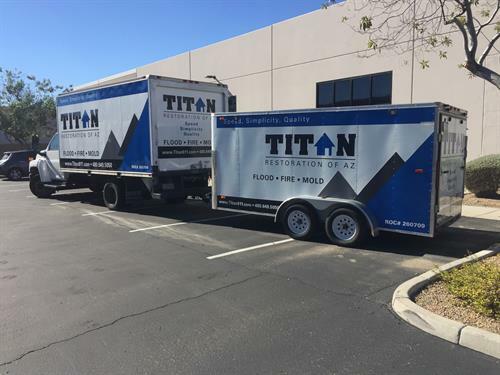 In 2005, he bought Titan Restoration and became a full service restoration company, handling everything from small water losses to large commercial fires. We are located on the NW side of McDowell & Greenfield across from Krazy Air.